Long considered an environmental steward and an urban booster, outgoing California governor Jerry Brown has signed a series of pro-density and housing-friendly bills into law as the final legislative session of his last term as governor draws to a close. Among the issues supported by the spate of bills are: efforts to build more densely around transit stations in the San Francisco Bay Area; a desire to enshrine Obama-era federal fair housing guidelines into California law; and plans to force wealthy municipalities to build their fair share of affordable housing. A list of some of the significant legislative gains signed into law by Governor Brown follows: AB 2923 Assembly Bill 2923 settles a long-running battle to give the Bay Area Rapid Transit (BART) authority a greater degree of control over the land that it owns surrounding its transit stops across the Bay Area region. The land in question is currently subjected to many of the strict density limits imposed by surrounding housing-adverse communities. The enaction of the bill will allow for up to 20,000 new housing units—35 percent of which would be affordable housing—to be built on the roughly 250 acres the authority owns by 2040. In a statement, BART general manager Grace Crunican celebrated the victory by sounding a conciliatory tone. She said, “Although AB2923 directs BART to adopt new transit-oriented development (TOD) zoning standards for each BART station, I want to assure community leaders and residents that BART is committed to continuing our collaborative approach. We have found that working closely with neighborhoods and local elected officials to consider community needs is not only respectful, it's the most efficient way to get the job done.” The measure gives local municipalities two years to update their zoning plans to accommodate the new housing or risk losing all control over BART-associated projects currently under their jurisdiction. AB 686 Assembly Bill 686 would require any housing- and community development–focused public agency to administer its programs and activities in a manner that supports the Affirmatively Further Fair Housing (AFFH) efforts of the 1968 Fair Housing Act. The bill represents an effort to enshrine those protections—as well as Obama-era fair housing programs—into California law amid a federal restructuring of fair housing priorities under the current administration. Housing and Urban Development Secretary Ben Carson has referred to AFFH unironically as a “social-engineering scheme” despite the fact that AFFH efforts serve to counter the long-standing legacy of federally-enacted and enforced racial segregation and redlining in American neighborhoods. Secretary Carson is currently working to “reinterpret” AFFH goals, which many racial equity activists have interpreted as an effort to dismantle the guidelines entirely. AB 1771 Assembly Bill 1771 aims to reform California’s Regional Housing Need Allocation (RHNA) law in order to make regional housing planning more data-driven and transparent by ensuring that high-income, job-rich cities plan and zone for affordable housing. 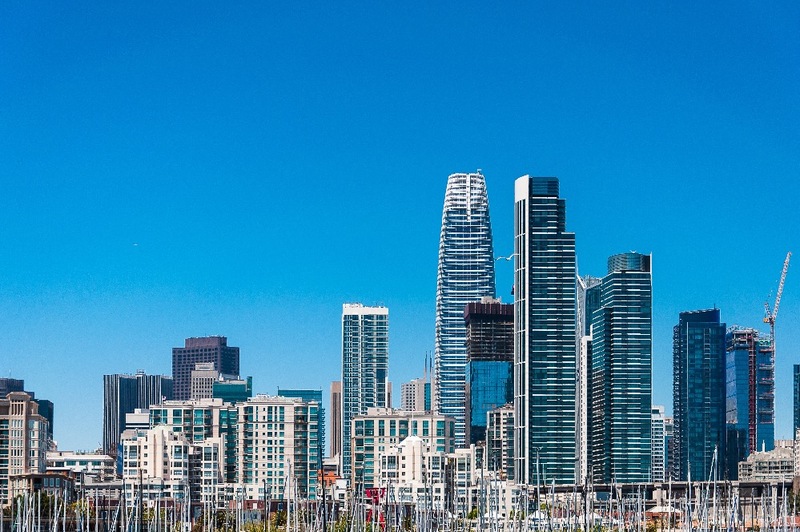 The bill represents an effort to force wealthy cities like Beverly Hills and those surrounding San Fransico to plan for additional affordable housing so that existing low-income communities are not solely saddled with the burden of producing more housing. There is an emerging trend showing that these low-income communities have seen concentrated growth in both new market rate and affordable housing, a phenomenon that has fueled displacement and gentrification. AB 1771 aims for an initial and partial fix by beginning to hold wealthy areas responsible for producing their fair share of affordable housing. SB828 Last but not least, State Bill 828 would reform the methodology California uses when setting local housing goals for the RHNA mentioned above. Moving forward, the state will use several data-based metrics, including the percentage of renter households that are overcrowded and current vacancy rates, to calculate each municipality’s new RHNA goals. The newly-enacted laws follow several years’ worth of legislative gains for housing advocates in the state. However, the efforts have yet to meaningfully reduce the number of rent-burdened households in the state and have had an even smaller impact on racial segregation or access to homeownership for low-income households. These issues are expected to take center stage for California’s next governor when they take office in 2019 following the November election. In the late summer of 1967, the civil rights movement was coming to a head. While it manifested around numerous issues throughout the country, in Milwaukee the fight for fair housing would be the catalyst for marches and protest that would last for months. Led by an unlikely advisor, Father James E. Groppi, son of Italian immigrants, and the NAACP Youth Council, thousands turned out for months of consecutive marches. In early 1967, the State of Wisconsin passed its first open housing law to prohibit discrimination in the sale, rental, and financing of housing. 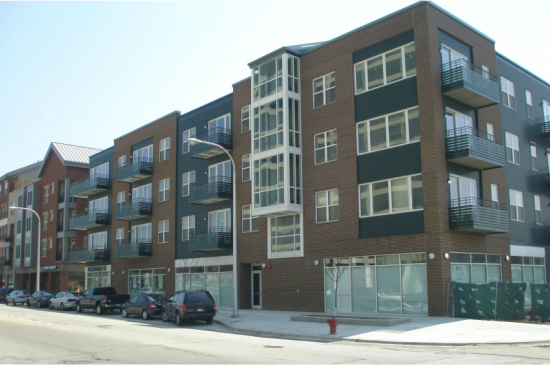 While the law was considered a step in the right direction, loopholes involving owner-occupied multifamily properties meant most of Milwaukee’s housing was not included in the law. African Americans, living almost exclusively on the North Side of the city, were not able to move or buy property anywhere else in town. The division of the city was embodied in the 16th Street Viaduct, locally known as “Milwaukee’s Mason-Dixon line.” The bridge still stretches from the predominantly African American neighborhoods of the North Side to the predominantly white, mostly Polish, South Side. When Father Groppi and the NAACP Youth Council gathered to protest the city’s refusal to pass its own, stricter, fair housing ordinance, 16th Street would become a symbol of their struggle. The first march across the viaduct took place on August 28, 1967. About 200 demonstrators walked from the North Side to Kosciuszko Park on the South Side. There they met an overwhelming 5,000 hostile counter-protestors. The next night, marching again, 13,000 counter-protesters hurled rocks, bottles, and fireworks at the civil rights marchers. Acting to protect the marchers were the Youth Council Commandos, young men who would create human walls to shield the women and children participating from the angry South Siders and the increasingly brutal police force. Undeterred, the marches would continue for 200 consecutive nights, through Milwaukee’s frigid winter. Just weeks after the end of the marches, Martin Luther King Jr. was assassinated in Memphis, Tennessee, on April 4, 1968. 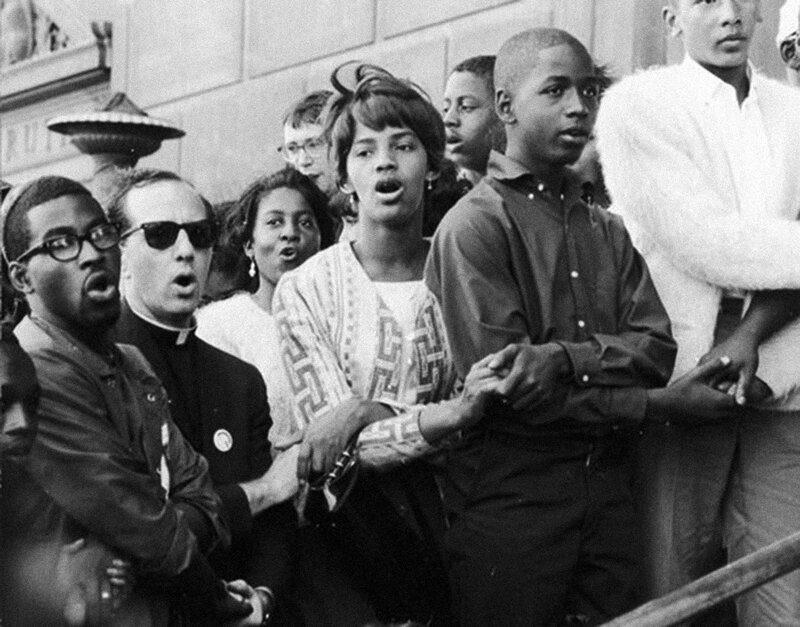 Notably, before taking up the fight in Milwaukee, Father Groppi had marched alongside King in Selma, Alabama, in 1965. In the days following King’s death, tens of thousands filled the streets of Milwaukee to mourn. By April 11, President Lyndon Johnson signed the Civil Rights Act of 1968, also known as the Fair Housing Act. Milwaukee would go on to pass even more stringent regulations later that year. Fifty years on, the city of Milwaukee is still reflecting on the events of that fateful era. The 16th Street viaduct has been renamed after Father Groppi, but the city is still considered one of the most segregated in the country. The lines dividing African Americans from whites have shifted, but are still staggeringly apparent. While the larger conversation about housing today is focused on affordability and sustainability, it is worth remembering that the simple act of wanting to live where you want is a battle that has been going on for decades.